March 28, 2007: Sunny and warm, Water temp 58* and Clear. Caught bait early , picked clients up and set up my spread on a flat. I no sooner engaged the last reel when one went off. 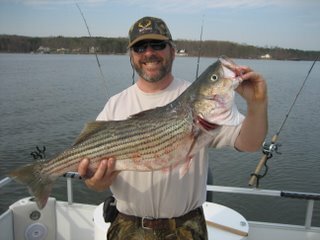 We had steady action for two hours then an East wind picked up and the fishing slowed down. I changed locations and fished shallower and started getting hits again . 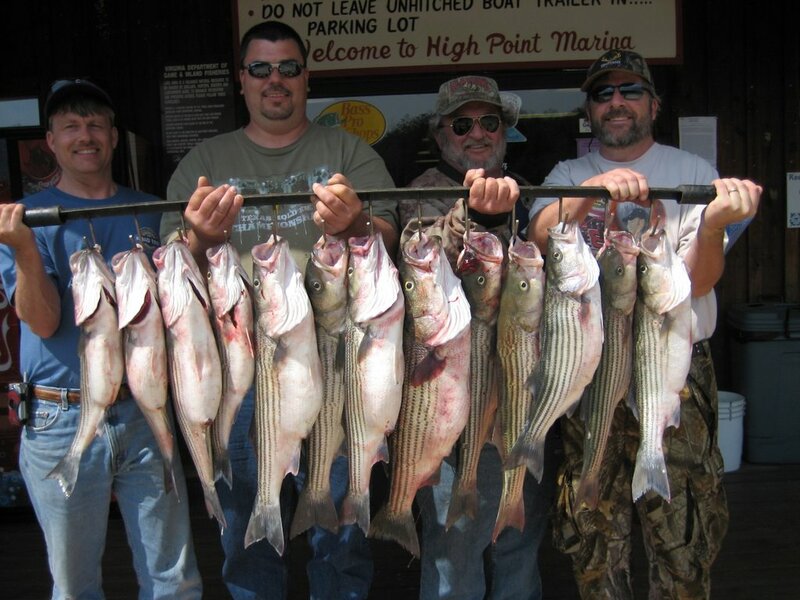 We had a great morning of fishing with 34 Strikes, keeping 13 very nice Stripers. Charlie felt sorry for a couple hogs and let them go to fight another day. Wayne, our prayers are with you.